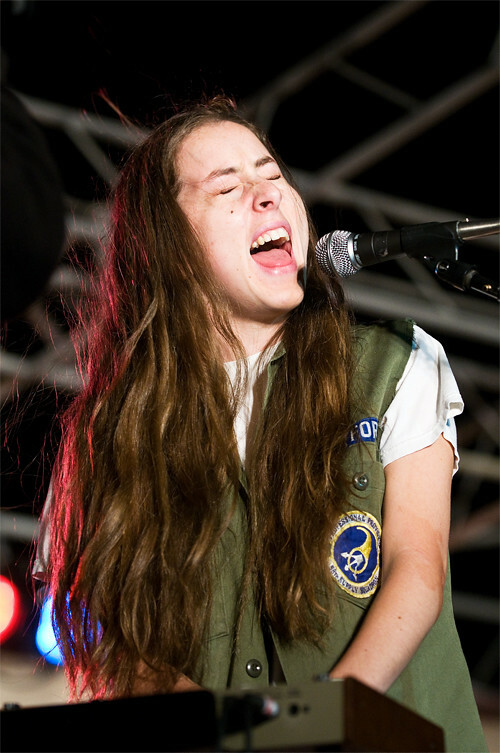 HAIM performs at The Twilight Concert Series on the Santa Monica Pier. 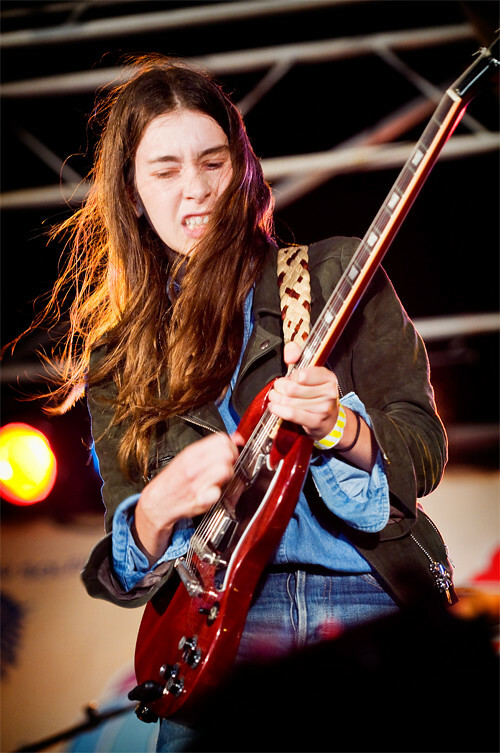 It was a family affair last Thursday on the Santa Monica Pier as sisters Alana (18), Danielle (22) and Este (24) of HAIM performed during free weekly Twilight Concert Series. 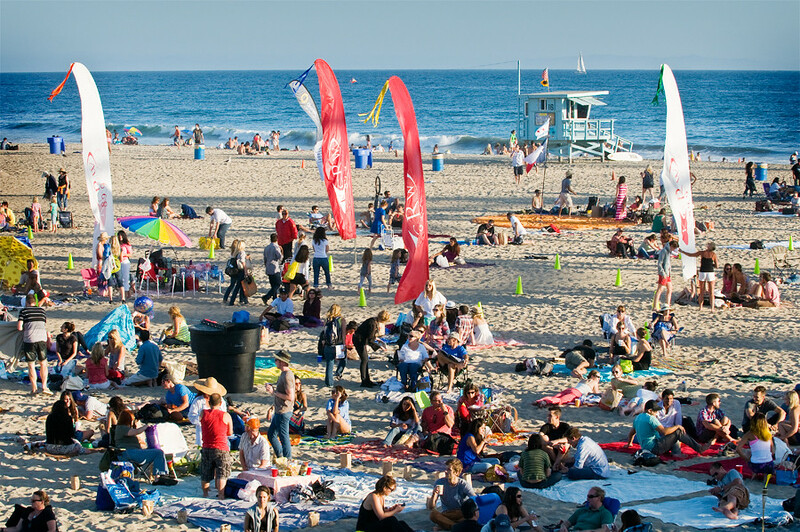 Growing up in the San Fernando Valley, Alana told the crowd that, while growing up, their parents would surprise the kids by taking a day-trip to the Pier. Now, it was a dream come true to be performing on the Pier. But it's a dream that started long ago when they were just kids, touring with their parents and playing street fairs and charities in a band called Rockinhaim. Growing up listening to their parents music, it isn't surprising that their sound echoes the classics of Fleetwood Mac, Joni Mitchell and Smokey Robinson. But then again, they are children of the nineties which is also why you'll hear touches of rock alternative delivered over their catchy melodies producing a SoCal sound that is best described as folk with echoes of alternative and a touch of R&B. But it's their trance-inducing percussions and silky-smooth harmonies that will make you get up on your feet and dance. 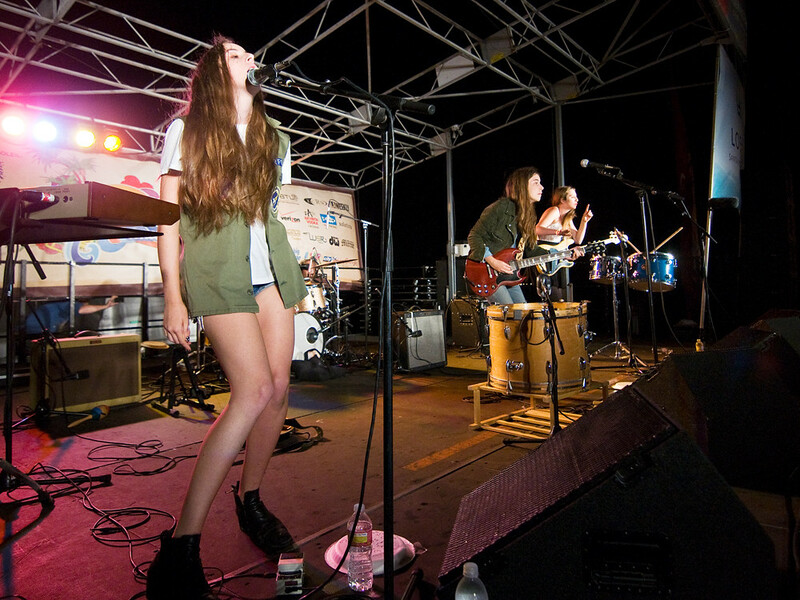 HAIM (Alana, Dash Hutton, Danielle and Este) perform at the Santa Monica Pier. Since venturing out on their own, they've been spotlighted by ultra-cool mags such as Elle and Vogue and have received rave reviews for the Forever EP. Their resume? Not too shabby. They've since shared the stage with the likes of KESHA, Grouplove, Cold War Kids, Bird and the Bee, Edward Sharpe and the Magnetic Zeros and Julian Casablancas of the Strokes. 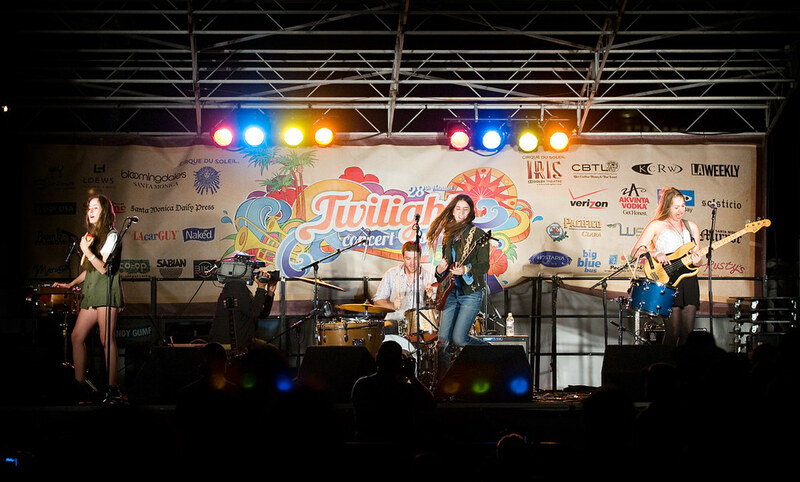 This was week three of Santa Monica's Twilight Concert Series. Already in its 28th year, these weekly concerts are always free with full service bars courtesy of "Sonoma on the Deck" where guests can enjoy a selection of specialty wine and beer. 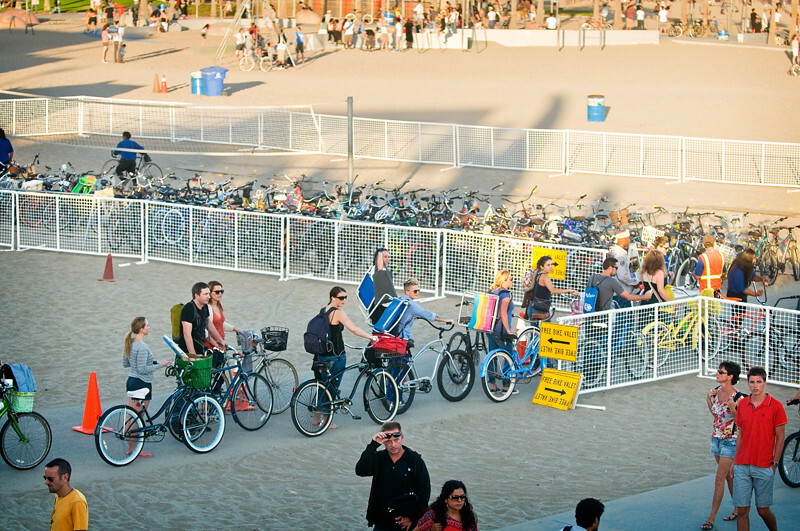 Have a picnic on the beach while listening to the show and take advantage of the free bike valets offered just south of the pier. 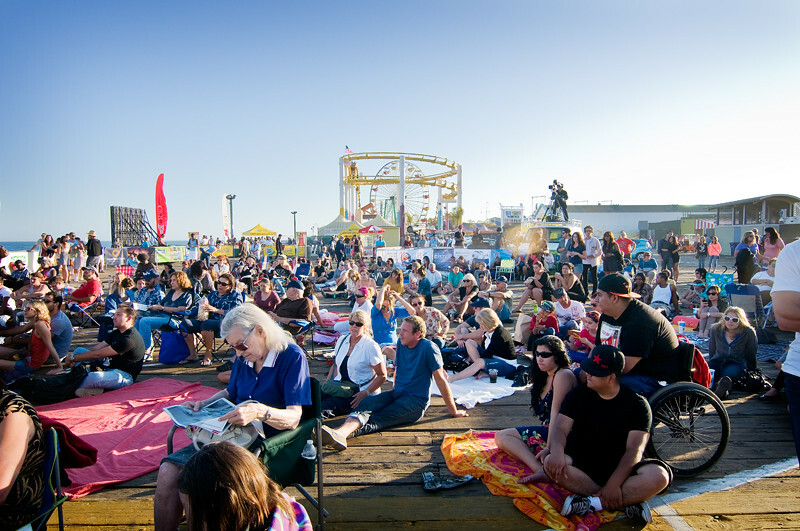 The concert series lasts through September with Jackie Green, Kasey Chambers and LA darlings Best Coast scheduled to perform in the upcoming dates. Click HERE for more info and to see the series lineup. 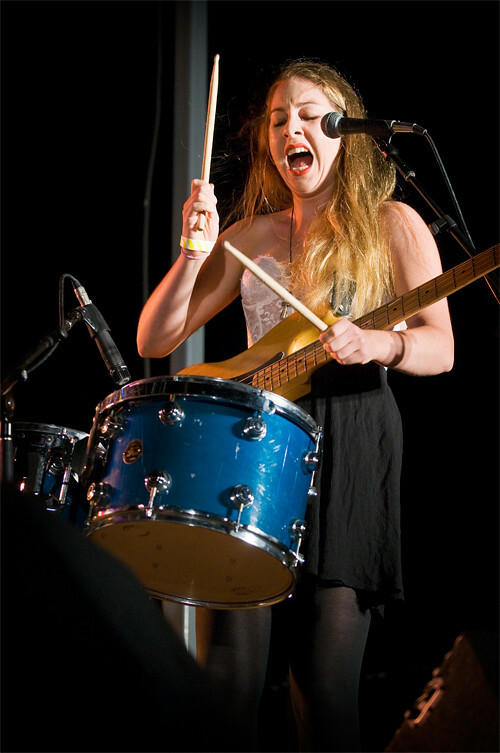 And check out more photos from Haim's show on the Santa Monica Pier in our photo gallery HERE. FREE SONG: THE INDECENT'S "CONTROL"
NEW VIDEO: WELL HUNG HEART'S "DEVIL"
BULLET & SNOWFOX COVERS "Call Me Maybe"
NEW VIDEO: JASMINE ASH'S "STARLIGHT"